David Guetta, together with the United Nations and international aid organisations recently launched a music video for the new track ‘One Voice’, in support of “The World Needs More___” campaign to raise funds for humanitarian emergencies. The track and video were penned and performed for the campaign by music artist Mikky Ekko. 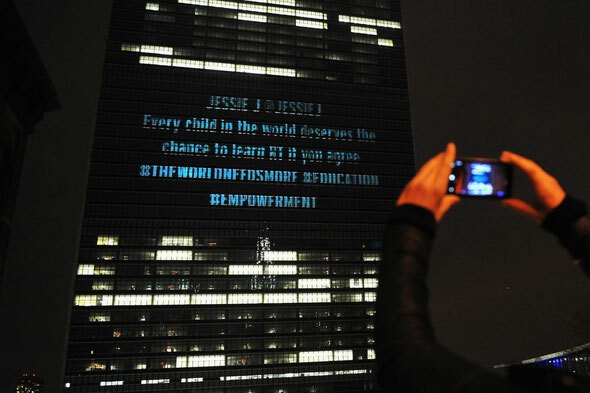 The music video was projected onto the exterior of the iconic United Nations Headquarters building in New York during a special launch event attended by United Nations Secretary-General Ban Ki-moon, Under-Secretary-General Valerie Amos, David Guetta and many of the campaign’s key partners and supporters. 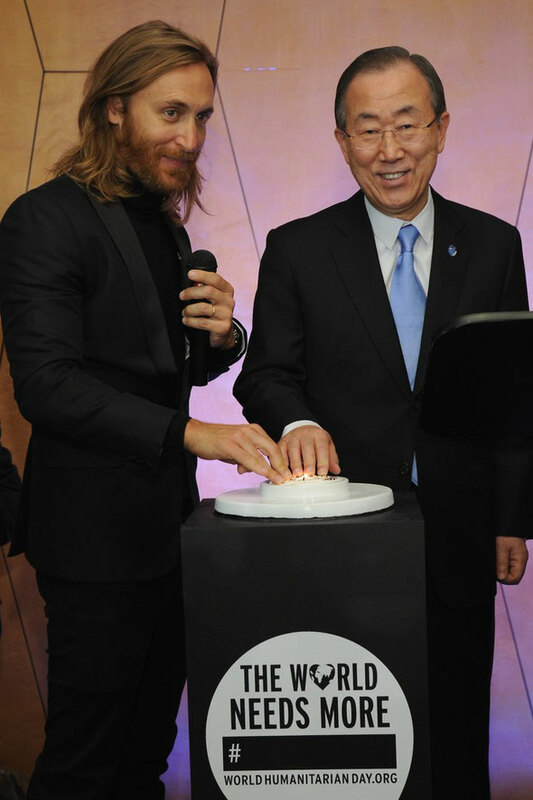 David Guetta produced the video especially for the United Nations. The music video was directed by Michael Jurkovac together with advertising agency Leo Burnett New York. The mission of the United Nations Office for the Coordination of Humanitarian Affairs (OCHA) is to mobilize and coordinate effective and principled humanitarian action in partnership with national and international actors broadcast in real time through Livestream via David Guetta’s Facebook page. Following the music video’s debut, the building was used as the backdrop for an interactive Twitter wall, becoming the canvas for tweets from around the globe. David Guetta has 47 million Facebook followers and 16 million on Twitter, making him one of the most followed people in the world.